Items on the Standard form duplicate those on the original CARS, while items on the HF form have been modified to reflect current research on the characteristics of higher functioning children with autism spectrum disorder (ASD). 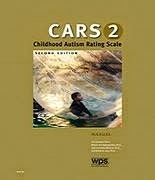 To complete the ratings on the CARS 2-HF, the professional must have convergent information from MULTIPLE sources such as direct observation, parent and teacher interviews, prior assessments of cognitive functioning and adaptive behavior, and information from the Questionnaire for Parents or Caregivers (CARS 2-QPC). Ratings are based not only on frequency of the behavior in question, but also on its intensity, atypicality, and duration. Rating values for all items are summed to produce a Total Raw Score. Each form includes a graph that allows the practitioner quickly convert the Total Raw Score to a standard score or percentile rank (based on a clinical sample of individuals diagnosed with autism spectrum disorders). The psychometric properties of the CARS 2-HF indicate a high degree of internal consistency and good interrater reliability. Validity information reports an overall discrimination index value of .93, with sensitivity and specificity values of .81 and .87, respectively. The HF form also demonstrates a relatively strong relationship with the “gold standard” Autism Diagnostic Observation Schedule (ADOS). In summary, The CARS 2-HF represents an important alternative that will be welcomed by school-based professionals such as school psychologists and speech/language pathologists. It is a sensitive and reliable instrument that will find a place in the school-based professional’s assessment “Tool Box.” Given the dramatic increase in the numbers of students being referred for screening and assessment, the CARS 2-HF is a useful instrument that helps quantify the level of symptom severity and importantly, assist with intervention and program planning. 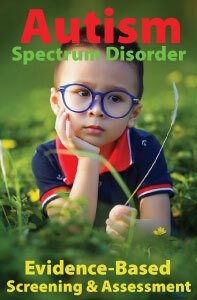 The CARS 2-HF scores are particularly helpful in identifying more capable children with autism spectrum disorder. Of course, the CARS 2 is not intended to be and should not be used as the sole instrument in making diagnostic or classification decisions. 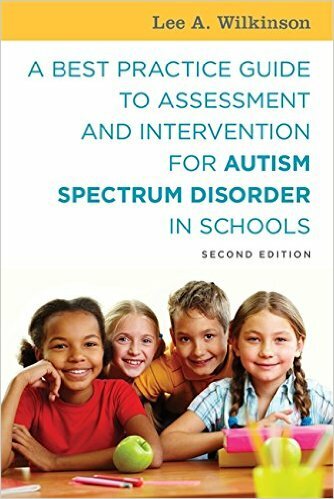 An example of a comprehensive assessment battery can be found in A Best Practice Guide to Assessment and Intervention for Autism Spectrum Disorder in Schools (2nd Edition).